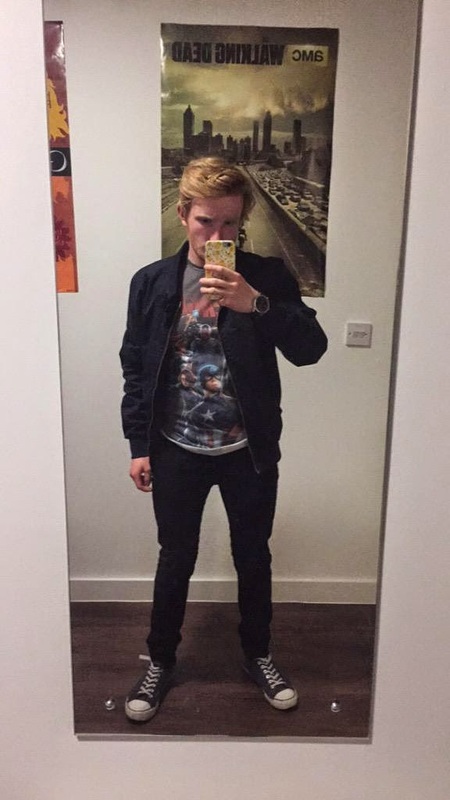 Last night, I went to the midnight showing of Avengers: Age of Ultron. I am a HUGE Marvel fan, specifically of the Marvel Cinematic Universe, so the wait for Avengers 2 has killed me. I adore the first film, and whilst the plot of Avengers 1 is nothing special, it holds a special place in my heart for simply being awesome. Anyway yes, onto Avengers 2. If you don’t know, the premise of Avengers 2, is that the team we know and love consisting of Tony Stark/Iron Man, Steve Rogers/Captain America, Thor Odinson, Bruce Banner/The Hulk, Clint Barton/Hawkeye and Natasha Romanoff/Black Widow are cleaning up the left over parts of Hydra. In the process of this, Ultron is born. And well…stuff does not go to plan. When does it ever in Marvel? 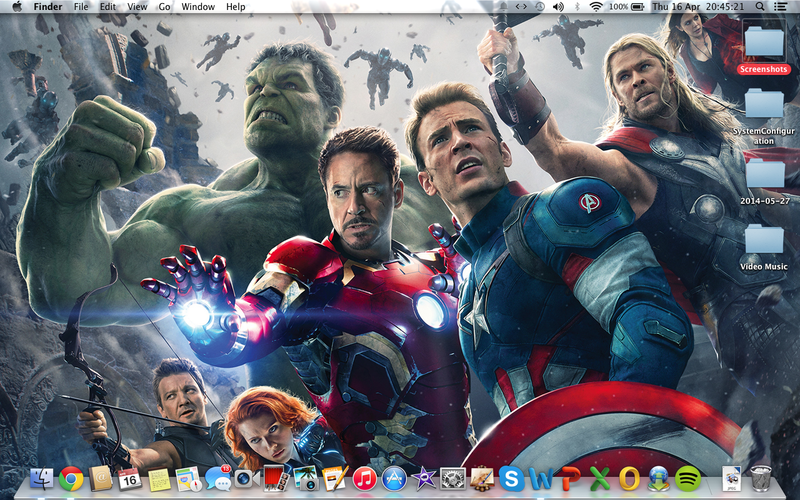 Even my laptop is ready for Age of Ultron. There WILL be spoilers from this point onwards until I type that there are no more! So if you don’t want to know any spoilers, skip this part, as I will mention some…spoilery things. This section will consider plot points, I’ll move onto not spoilery things soon! So we meet some new characters! The most important of which are Pietro and Wanda Maximoff, A.K.A Quicksilver and Scarlet Witch. Referred to as ‘enhancements’ as Marvel legally cannot refer to them as mutants. Though I think they played off the fact that they are X-Men VERY well considering you know…Marvel don’t have the rights to that. Both of their performances were fantastic, especially Scarlet Witch’s! I found watching her very interesting and I think she will have much bigger roles to play in the future. I did not expect that twist of Quicksilver dying?! Though Clint giving his child Pietro as a middle name was a VERY nice touch afterwards. There was a ton of foreshadowing…for one big red herring! Instead of being annoyed, I though this was amazing! I was on the edge of my seat waiting for Hawkeye to bite it. I mean, he had everything, a loving family, two kids and another on the way, and had even told his wife that he was going to return to finish one last job. Many death flags were flying. You’re lead to believe Clint will die, but Quicksilver sacrifices himself. Very well done, very shocking and very upsetting! We finally got to see more of the Black Widow program! This was hinted towards in Agent Carter, and is something I’d been waiting a long time for. Black Widow is one of my favourite characters, and she deserves much more screen time than she receives. Cap’s flashback-esque scene to Peggy crushed my heart. Tony seeing his comrades dead in his Scarlet Witch dream thing broke my heart too. This film didn’t pull it’s punches with the emotions!! Also, the insane amount of references in this film to other Marvel properties. They went to Wakanda of all places! I cannot wait to see Black Panther in Captain America: Civil War. I love Black Panther so damn much. Aaaannd we even got a sneaky Guardians of the Galaxy crossover with the credits scene, and the infinity stone from that film appearing a few times, however when Thor talks about the 4 infinity stones that have become active, how does he know about the one that the Guardians discovered? Was it simply knowledge from his Scarlet Witch induced dream, a plot hole, or is it something more than I’m missing? As always, Marvel delivered some amazing action sequences. None of them felt over the top, too long or too rushed. I imagine some people will tire of them, but Marvel action sequences are always shot in such an amazing way that I never tire of them, like the scene in the first Avengers film, when the camera follows each Avenger around the battle of New York, until they run into another Avenger and follow them for a while. Say Avenger one more time. I don’t really keep up with the comics, but I also though the plot was well done and well paced. I won’t say anything for the sake of spoilers, but I enjoyed it thoroughly, and we’re yet to find out if die hard Marvel comic followers will. Every actor’s performance was incredible. These films have a great cast, RDJ, the Chris, Scarlett Johannson, Ruffalo, Jeremy Renner, Cobie Smulders, Samuel L Jackson, Olsen that isn’t Mary-Kate or Ashley, Aaron Taylor-Johnson, and so many more!!! There was nothing left to be desired there. One criticism, and it isn’t even much of a criticism, is that A LOT happens, which is great, but I feel like I need a few more viewings to make sense of it all just a bit more. At the end, I was left desperate for more Marvel. I’m excited for Ant-Man, but now I want to see the Avengers, not a new hero! I guess I’ll just have to wait for Captain America: Civil War. I’d give this film an easy 9/10. I teared up as it came on the screen, I was just that excited, and it really didn’t disappoint! There will be many upon many repeat viewings of this. I’m desperate to go and see it in IMAX 3D since that was sold out last night. Here is what I wore, because I couldn’t not wear my Age of Ultron shirt, which everyone had on, because it’s from Primark. If you can’t tell, I’m terrible at mirror pics. Also, here is a video I made a while ago on my Top 5 MCU films, which will definitely have to be rethought after Age of Ultron! Age of Ultron is out NOW in the UK, and will be out in the U.S on May 1st. Don’t miss out on this one, it’s going to be the highest grossing film of the year. How can it not be? And if it falls to Fifty Shades of Grey, we live in a bad place. Though, The Force Awakens will be stuff competition, though as it comes out so late in the year, I think it’s more than likely Avengers will take the prize! I would go as far as to say it will be the highest grossing film of the decade, but we have 2 more Avengers films in this decade, which seem promising already with the Russo brothers directing them, they also directed Captain America: Winter Soldier, so I have utmost faith in them. We also have more Star Wars films coming. They may crush Avengers in the box office, but I guess we’ll just have to wait to find out.